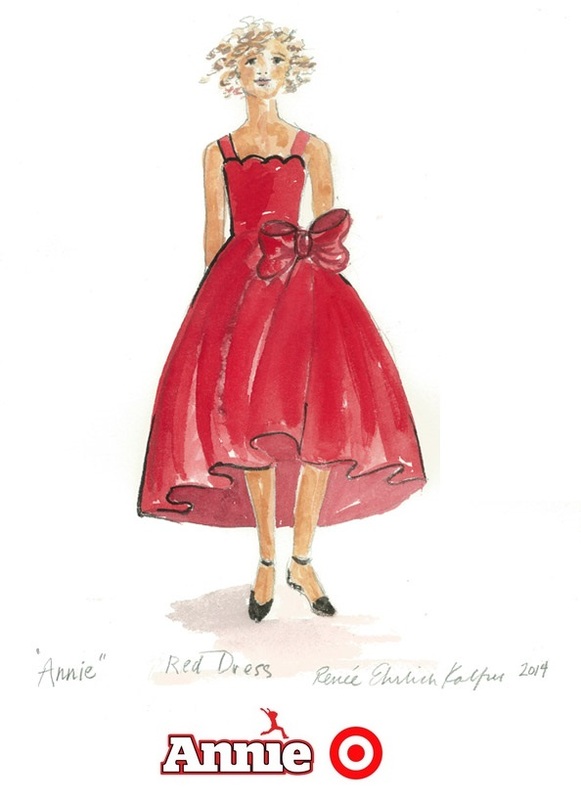 To celebrate the release of the beloved Broadway musical-turned-major motion picture Annie, Target has teamed up with the film’s costume designer, Renée Ehrlich Kalfus, for a very special capsule collection. The above sketch was just released and you can bet your bottom dollar that the rest of the 25 piece collection will be as cute as a button! Inspired by the movie, the collection will include playful pieces with details like patching, embroidery, buttons, and tulle, as well as a DIY kit that allows budding fashionistas to add even more color and personalization to their wardrobe. The Annie for Target by Renée Ehrlich Kalfus collection will be available on Nov. 16 and priced at $30 or less.